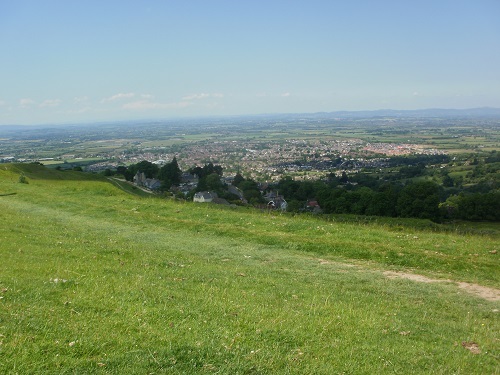 This is my story of my Cotswold Way walk which I walked in six days during June 2017, or at least that was the plan, The weather forecast prediction for the week was to be a heatwave, well above the normal temperature for the time of year and so it proved to be. The weather would see a change of plans and a lot of discomfort as I was camping along the Way so obviously my rucksack was heavy, far too heavy for this heat but I would have suffered even if I had been walking without a bag. I had camped previously on my South Downs Way walk (Click HERE) so it's not like I hadn't camped on a long distance trail before. The problem with the good old British weather is that you just don't know what to expect. I have walked National Trails in June and been cold, wet and miserable so you just don't know what weather you will get. The original plan would see me complete the Cotswold Way in six days during June but I would end up finishing the first part after Day 3 at Painswick and returning a month later (in cooler weather) to complete the other three days from Painswick to Bath and stay in a couple of Pubs at night instead of camping so my story is one of two halves. 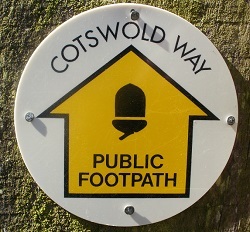 The Cotswold Way is a 102 mile (164km) long distance walk that became a National Trail in May 2007, running along the Cotswold Edge escarpment of the Cotswold Hills in the South West of England between Chipping Campden and Bath. 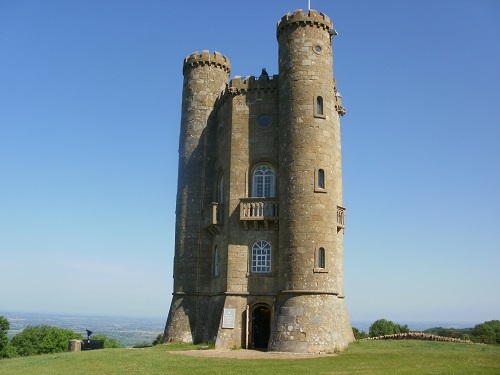 The highest part of the walk is at Cleeve Hill 1083 feet (330m) and the path passes through many nice villages with their lovely houses and churches as well as monuments including Broadway Tower, the Tyndale Monument and the Somerset Monument. 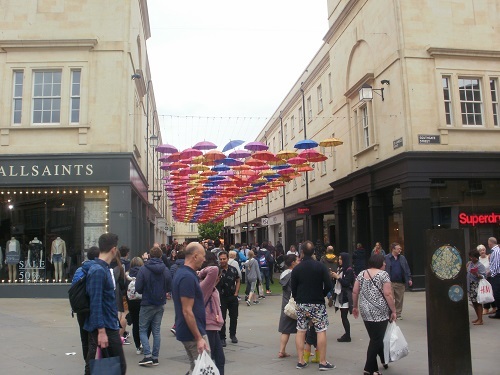 Apart from a small section near Broadway which is in Worcestershire, the whole of The Cotswold Way walk is located in Gloucestershire and Somerset. I did the walk in 6 days but most people will take between 7 and 10 days or longer if they wish. 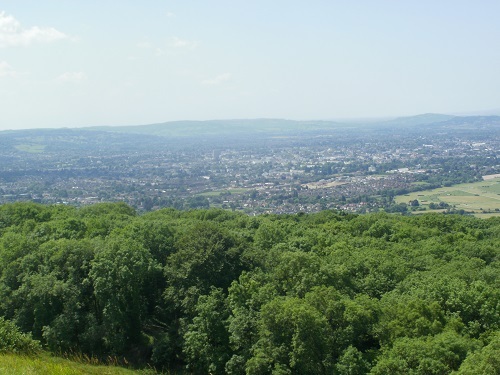 Although there are no big high hills to be climbed, the walk is still quite challenging with many steep hills to sap your energy but the views along the ridges are worth it on a good day and some delightful woodland paths are walked upon as you hike between Chipping Campden and Bath, or in the other direction. It is quite an easy trail to get to the start/finish and it passes through or near Chipping Campden, Broadway, Stanway, Winchcombe, Cheltenham, Leckhampton, Painswick, Stroud, Dursley, Wotton-Under-Edge, Chipping Sodbury and Old Sodbury as well as smaller places so accommodation is quite good along The Cotswold Way. 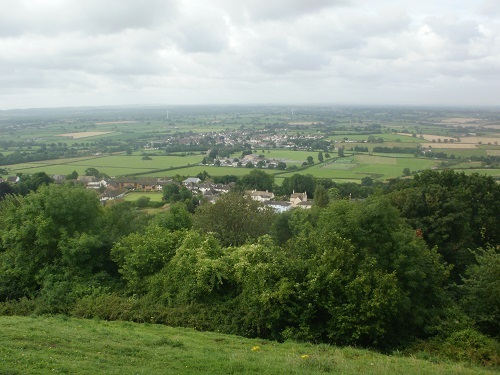 Although I didn't have the best conditions for my walk, I would still like to do The Cotswold Way walk again and I hope that if you do it, you will enjoy the scenery also and hopefully get better weather. The Map and Guide Book that I used for this walk and found very useful can be bought by clicking on the links on the left hand side of the page.